A Christmas Party allllll Week! interesting places visited during the holiday........of course any vintage finds.........And, what did Santa bring to some of you? Use Inlinkz below to join the party! 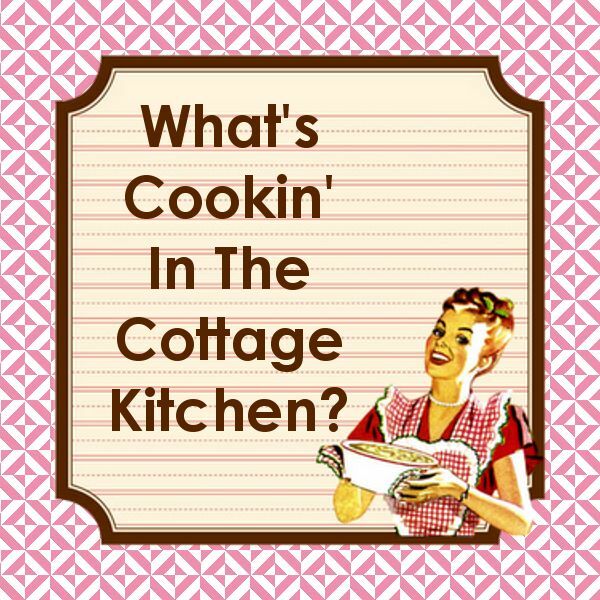 Well, what is cookin in your holiday cottage kitchen? 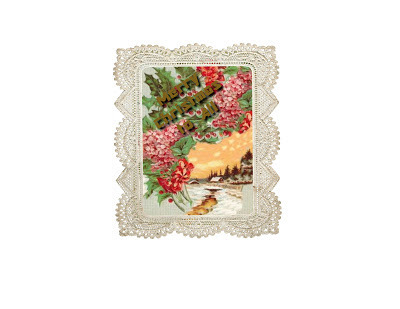 At this week long party we ask you showcase holiday kitchen decor, tablesettings, recipes, aprons, special gifts and ornaments made in the kitchen, and , of course, dinnerware, glassware, and serving pieces, all with a holiday motif. For rules of this party check out the Blog Party Rules at the top of of this page. 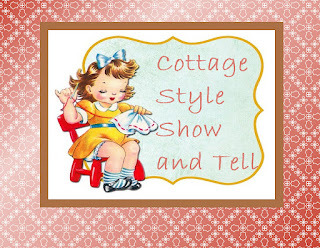 Remember, this Etsy Cottage Style party is open to blog posts only selling sites will be removed. 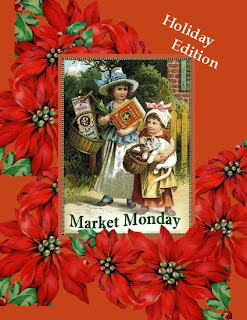 Black Friday is past..... Small Business Saturday, as well as Cyber Monday came.... and went......but it's time for Market Monday in Blogland! 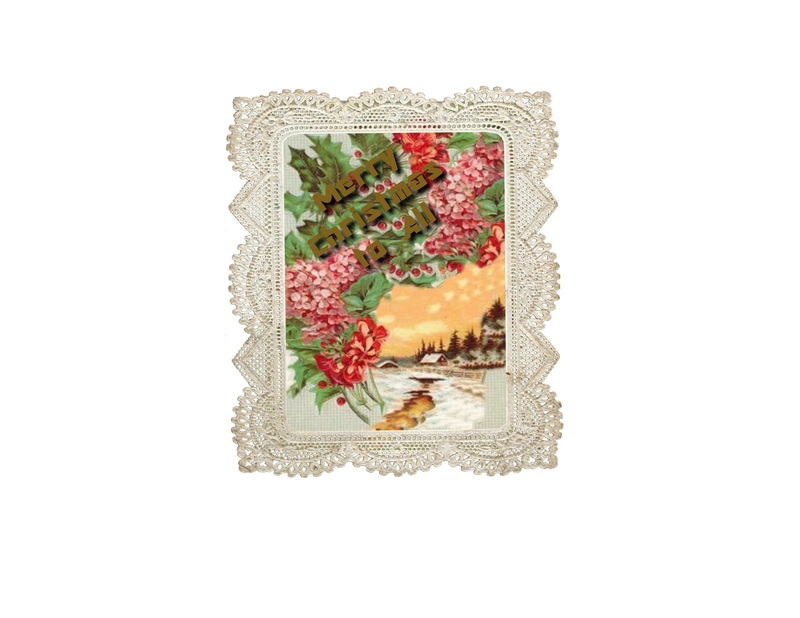 Stop by and check out all the holiday gifts and decor in a virtual flea market of over 50+ vendors! This isn't for just one day, but the whole week long. 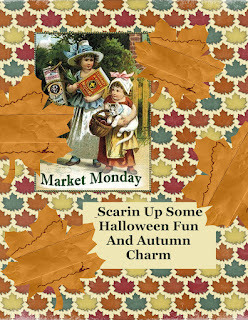 And, vendors add items throughout the week, so visiting more than once is recommended. If you'd like to join as a vendor read our Rules at the top of the page and link in below. Time for the first party of the holiday season! Let's see your holiday craft room and all your projects. We are entering the Holiday Season! turkey, cranberry sauce, and pumpkin pie. What's cookin' in your kitchen? How does your decor look for Thanksgiving? Any special dishes or serving pieces used for the holiday? Link in and join the party! 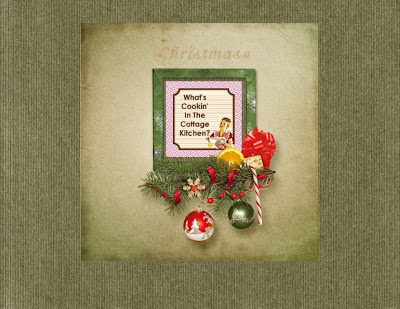 Remember, this Blog Party is open to all , whether you are a member of Etsy Cottage Style or not. If you would like to become a Member and join in swaps, chats, groups, etc. Check out the Home Page at http://www.etsycottagestyle.ning.com/ We'd love to see you there. Well, it was a very Halloween Week out there in Bloglandia. Hope everyone is okay out there. Matthew 25 Ministries home-based here in Cincinnati, Red Cross, Salvation Army, and St Vincent DePaul all left last week for the East Coast and plan more help to follow. Sigh. If some of you have no Internet, but WiFi from local businesses like Starbuck's...check in and let us know how you are. I have many East Coast BlogPal's I can't reach, so, it's frustrating not knowing and not able to get there. I'm sure there are others who feel the same. Our thoughts and prayers are with you all. 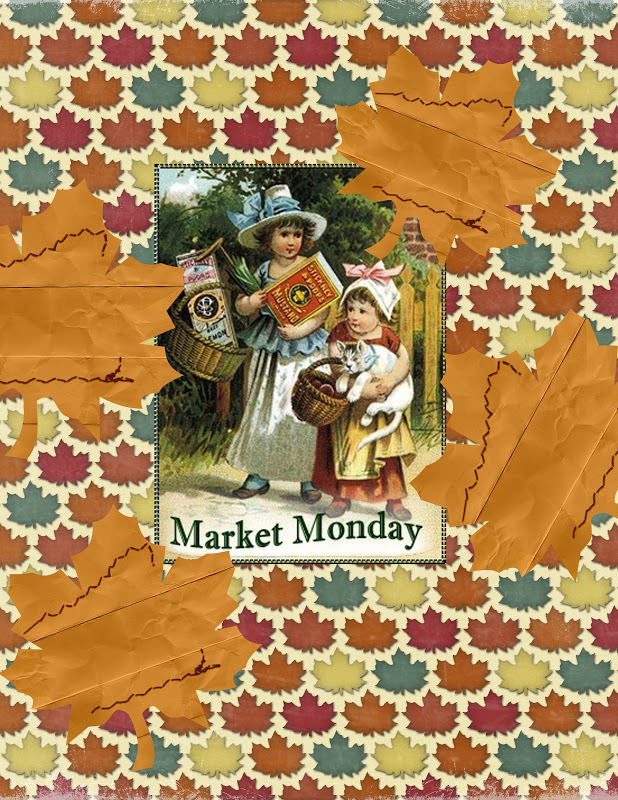 take a stroll through our virtual flea market! Welcome to the Cottage Garden Party! How does your garden grow? Show us your bloomers. Love Tea Parties? Show us your flowery service. Table not complete without flowers? Show us your china, ceramic, silver, crystal, fabric and glass botanicals. What about your outdoor room or how do you bring the outdoors in? This party is all about florals. ............................in your cottage kitchen? It's a week long fun fest of recipe swapping, kitchen kitch, tablescapes, dinnerware and serving pieces, kitchen decor, and a whole lot more! Link in below with Inlinkz and join the party. No selling sites, this is a sharing party! It's once again time for Market Monday, the popular virtual flea-market featuring everything from one-of-a-kind artworks and crafts to antiques and vintage finds. There are even supplies and so much more. The best thing is this flea-market is open 24/7 all week and vendors add items sometimes daily, so you can browse to your hearts content! That's right. There are 5 Monday's in the month of July and that means we have a special party this week! Do you sew. paint, or decorate? Do you do paper crafts, collage work, mixed media designs, or floral designs? Do you collect vintage or antique items? What do you do? What inspires you. Have you found something that we'd never guess what it was? Tell us about it! We'd love to see it! Do show and tell. Hello, and show off your Craft Rooms.Posts showcase items you work on, give some organization tips, tutorials, supply tips, anything that'll be inspirational, creative, and fun. The Greater Cincinnati area had rain this weekend...not a lot, we're 5" off.....but the flowers, grass, and plants loved it. Hope your garden got a little precip this weekend. or at least a little reprieve from the heat. We can't wait for the grand tour of your garden. And, don't forget this party includes showcasing anything with a botanical motif. 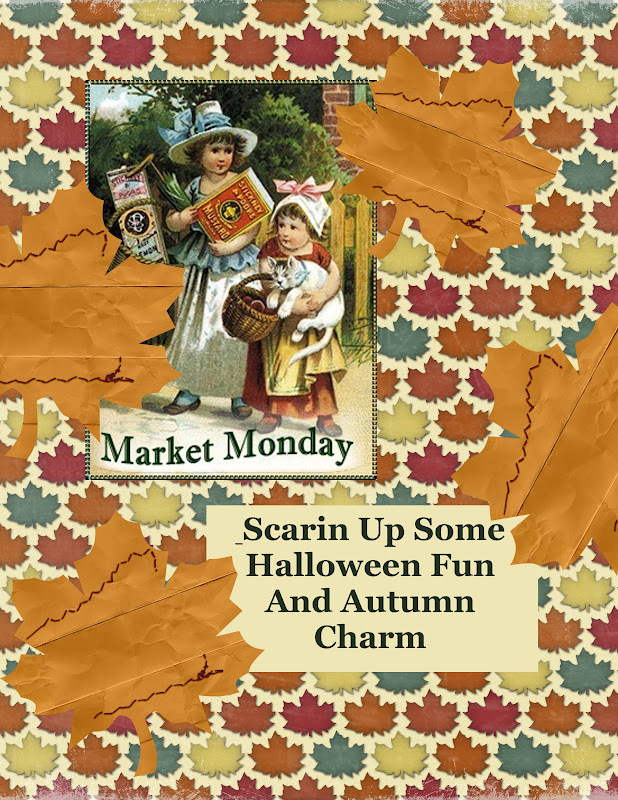 This is a terrific virtual flea market.....climate controlled.....great food.........any type of beverage to be found..
great vintage finds.....ooak creations.....antigues......craft supplies.....and much more. Soooo, crank up your fan or air, grab something yummy from your fridge, and pop open you fav drink, cause you don't need to leave the comfort of home for this virtual flea! 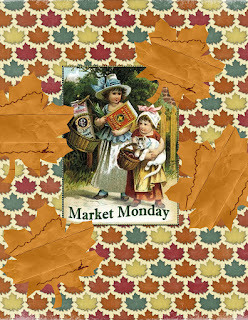 And, for real convenience this flea is open 24/7 and vendors add new items all week so, visit often! Did you see that? Wasn't that clever! Wow. what an idea! Oh how beautiful, How did you do that? Really. You hear that a lot of those types of things with this party. So show off your Craft Room, post showcase items you work on, give some organization tips, tutorials, supply tips, anything that'll be inspirational, creative, and fun. 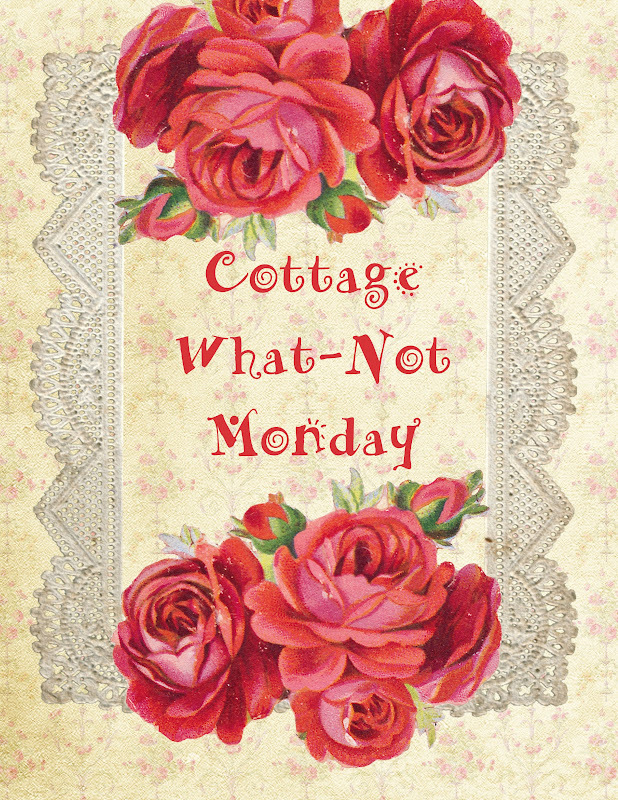 It's time again for a scrumptious get-together in the cottage kitchen. 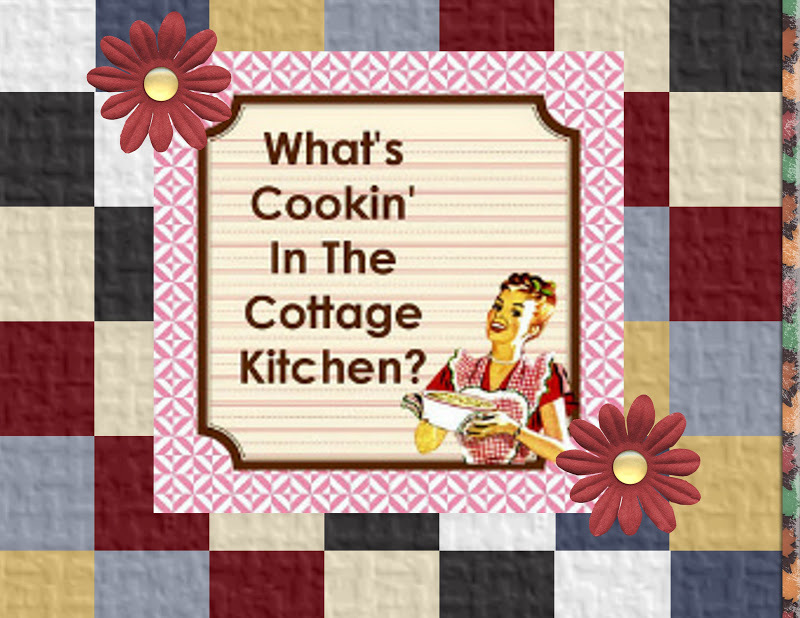 So, what's cookin in your cottage kitchen? Give us the grand tour...show-off your party flair......let's see the kitch. 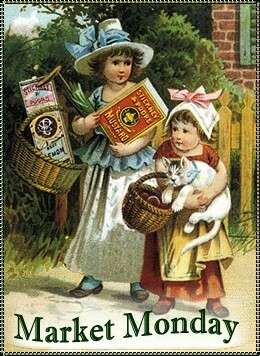 Love collecting vintage cookbooks....ads or labels......cookie jars? Anything kitchen...cooking....serving.....is what we want to see. Scroll down to the Inlinkz icon and link in your post. 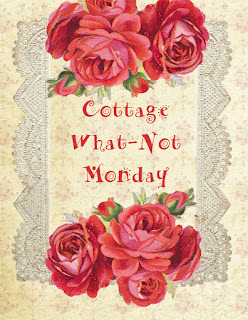 Anniversaries..............redecorating..............ooooooohhhh just oodles of reasons to shop at the Etsy Cottage Style Market Monday. We have an extra Monday in the month of April, so, why not celebrate by having a surprise party!! What is a What-Not you ask? A what-not is a piece of furniture derived from the French étagère, which was exceedingly popular in England in the first three-quarters of the 19th century. It usually consists of slender uprights or pillars, supporting a series of shelves for holding china, ornaments, trifles, or what not, hence the allusive name. In its English form, although a convenient piece of drawing room furniture, it was rarely beautiful. The early mahogany examples are, however, sometimes graceful in their simplicity. So, this party will showcase your What-Nots, be it a piece of furniture with your collection in it or just the collection itself. Remember this is a week long party! InLinkz will be available on Sunday night. 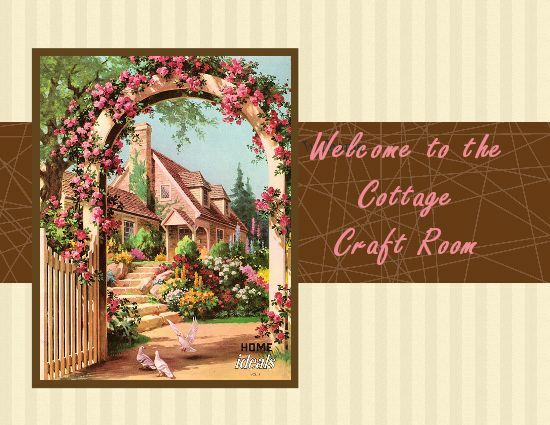 Welcome to the Cottage Craft Room Party. We're so glad you came by! Go on down and visit all the linked Craft Rooms. If you'd like to link your Craft Room too, post showcase items you work on (sorry no selling sites allowed), your craft space, give some organization tips, tutorials, supply tips, anything that'll be inspirational, creative, and fun. We're Having Another Garden Party! 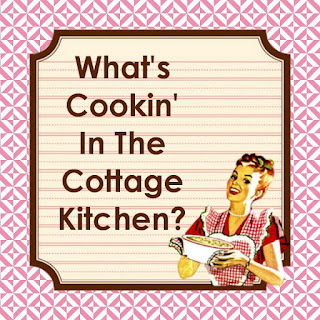 What's cookin in your Spring Kitchen? Have any special Easter dishes you cooked up? Any Springtime specialties? Did the Easter Bunny leave anything special? Come on in the kitchen and join us for some warm conversation, delish dishes, and some vintage fun. Link in and tell us about your collections of vintage cookbooks. If you have old magazines, it's fun to see all the vintage food ads and photos of period kitchen decor. Personal recipes are always a yummy idea. Who doesn't love kitchen kitch, and showcased kitchens are always inspiring. It's a Spring Garden Party! It's the 3rd Monday of the month and here at the Etsy Cottage Style Blog it's time to celebrate the first week of Spring with a little Garden Party! What's cookin in your 'Irish' kitchen for St. Patty's Day? Come on in the kitchen and join us for some warm conversation, delish dishes, and some vintage fun. Link in and tell us about your collections of vintage cookbooks. 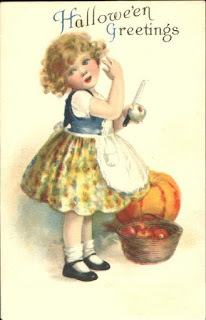 If you have old magazines, it's fun to see all the vintage food ads and photos of period kitchen decor. Personal recipes are always a yummy idea. Who doesn't love kitchen kitch, and showcased kitchens are always inspiring. For Blog Party Rules......sorry. but we have to have some guidelines 8o)........go Here and to find out how to link in with your permalink goHere.